Tasha Marcum Dugger Tiffany Marcum Waters Josh Dugger and Josha! I am ready to go back here. “Are you lookin at me”? Looks like an oil painting…beautiful! Been watching them build. It is beautiful to watch these eagles. Wow, hopefully I will be able to get this! It’s amazing! 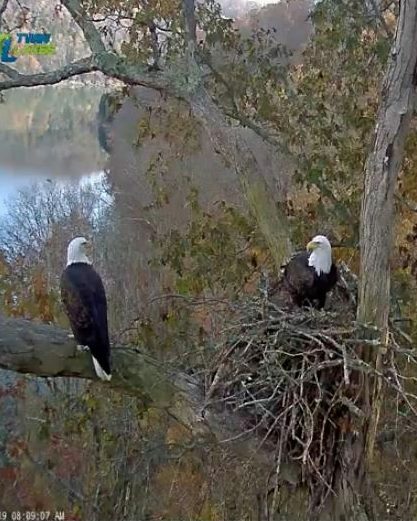 Not to question the ways of the eagles, but that nest looks to be resting precariously on two of the three branches. the rebuild is coming along nicely.